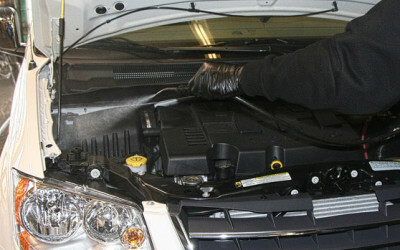 Autoworx, located in Breslau, provides corrosion protection services. 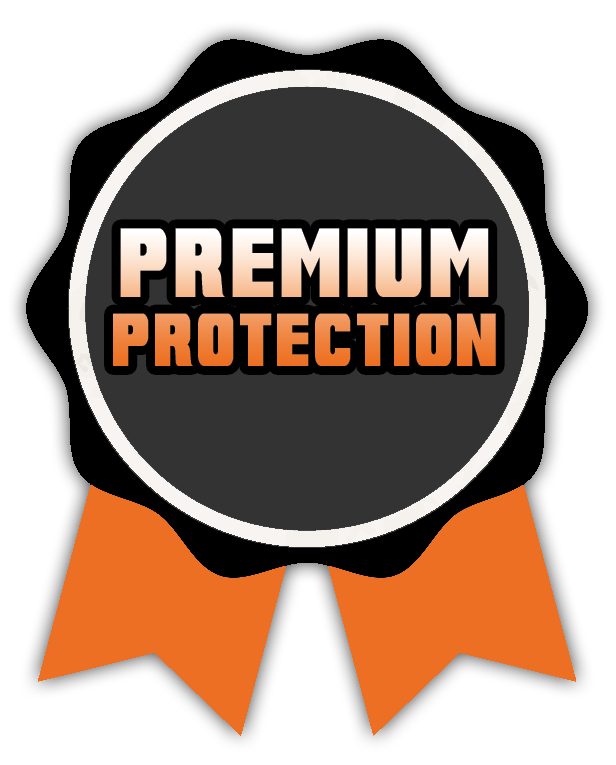 Our rust protection applications help reduce the impact corrosion has on your vehicle. 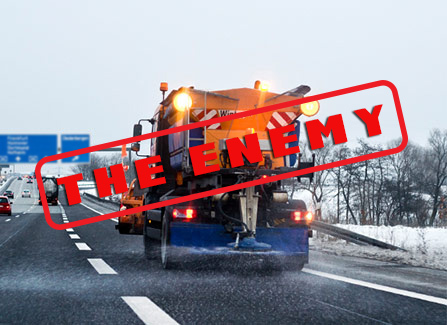 Permanent Rust Proofing and Oil Spraying can both help protect your car or truck from harsh Canadian Winters, road salt and in the warmer months, moisture (humidity). Don’t let unsightly and damaging rust ruin your vehicle’s appearance before its time. 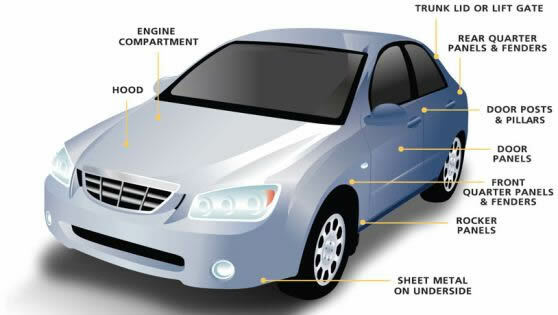 Keep your vehicle looking new and help reduce auto repairs due to rust. 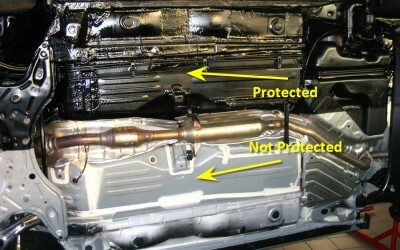 This rust protection utilizes two components. 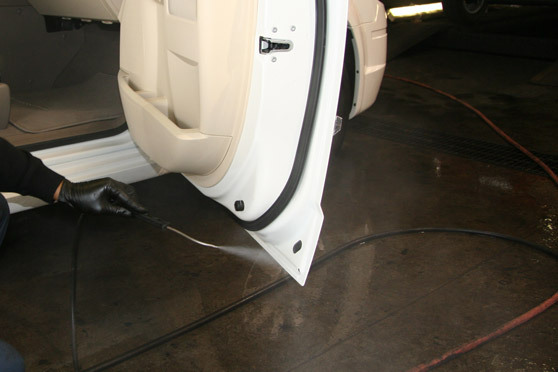 Body panel rust protection is a formulated compound which consists of an inorganic/organic complex, oxidized petrolatum and microcrystalline wax as well as sulfonate rust inhibitor. 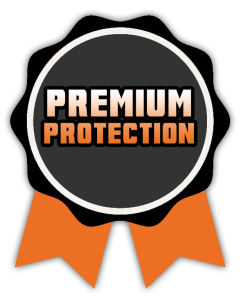 This coating provides excellent long term metal protection for the upper body of your vehicle. 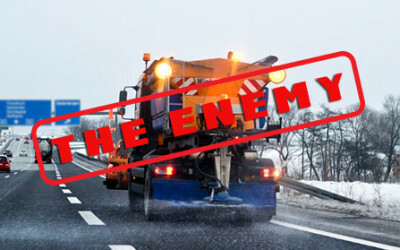 The underbody of your vehicle is highly exposed to the damaging effects of salt, stones, gravel and dirt. 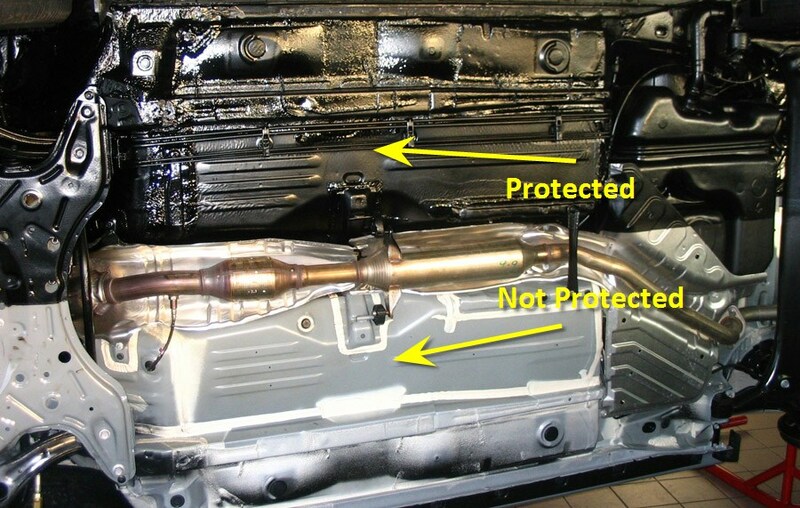 Underbody Protection extends the life of your vehicle. It contains high quality refined asphaltic compounds, synthetic rubber and resins, which when blended, provide excellent adhesion to metal. 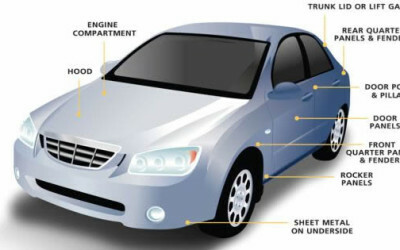 In addition, rust inhibitors are added to give long term corrosion protection. Cost: $65 for cars / $85 for trucks, vans, SUV + tax. Please contact us for more information.